While the car is off I can shift through all the gears fine. Once I turn it on only the second gear has a problem going in. When going in from first to second if I try to put it in right away it kinda grinds but if I wait like 2 seconds then it goes in fine. The rest of the gears are fine its just second that does this. Should I be looking into getting a new trans? sounds like the syncro is going out. not the gear itself. Could be a syncro, but I wonder if your cables are out of adjustment? I'll check that out probably Wednesday but wouldn't this only be the case if it didn't want to go in while it was off? I changed my shifter out and couldn't get it in 2nd off or on. Adjusted my cable and it worked fine. If it's grinding though, it's either the clutch isn't fully disengaged or the synchro is going out... and since OP is only having the problem with one gear, it's most likely the synchro. This is likely to be your problem. See how the three inner "wings" on this ring look a little flattened/grooved? That prevents it from dropping down into the corresponding grooves... as seen here. In this case, it was from downshifting very hard from 3rd to 2nd. So what do you guys think that I should do? 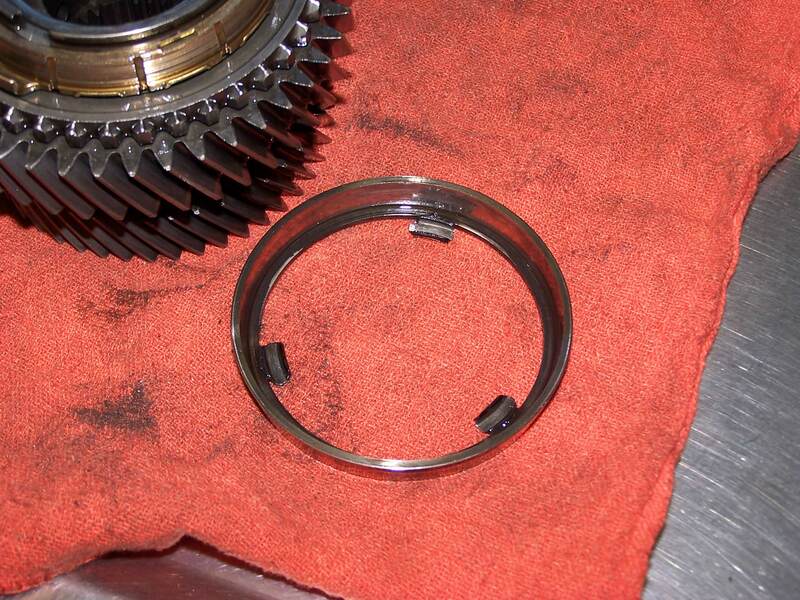 Check and adjust your shift cables first, then prepare for a trans if it continues or learn to rev match your shift. From what I hear its cheaper to get a new one than rebuild. You can have them rebuilt, but the really good guys who do them can sometimes have a long turnaround time. More than simple rev matching, he'll have to learn to double clutch. It's not impossible though. Learn to double clutch. Drive it until you can find a replacement. if i had to double clutch 2nd gear to get it to go in, and i had to drive the car i think id simply shift 1st to 3rd. Eh, it's not that bad once you get the hang of it. I did it for a little while with my OE transmission back in 2006. I had the same thing happen about a year ago, one day trans was fine, next day was a little hard to get in first, then did just like yours, I figured something broke in second, probably the syncro and I thought about fixing it myself but wasn't sure where to get parts or if special tools were needed to split the case, I ended up finding a used trans (kind of hard to do) and put the old one on the shelf should I have problems again and then fix it. I guess I'm just going to have to find something used lnf, lsj and redline all have compatible trans right? and put the old one on the shelf should I have problems again and then fix it. That's what I did. I still have my OE trans from 2006 with the above pictures busted blocker ring. Learn to double clutch. It isn't that hard. A bit of a relic from the old days when cars didn't have synchros. But it'll help you out a bit from time to time and keep you from having to wind first out deep and/or lugging the hell out of the engine in third. So easy, even a grandma can do it! Did a search and came across this thread. My second gear grinds going in but if I double clutch, it goes in fine. I'm certain it's a synchro issue, but does anyone know of a good transmission guy? Popping out of second gear. Noises with transmission going from first to second gear, suggestions? 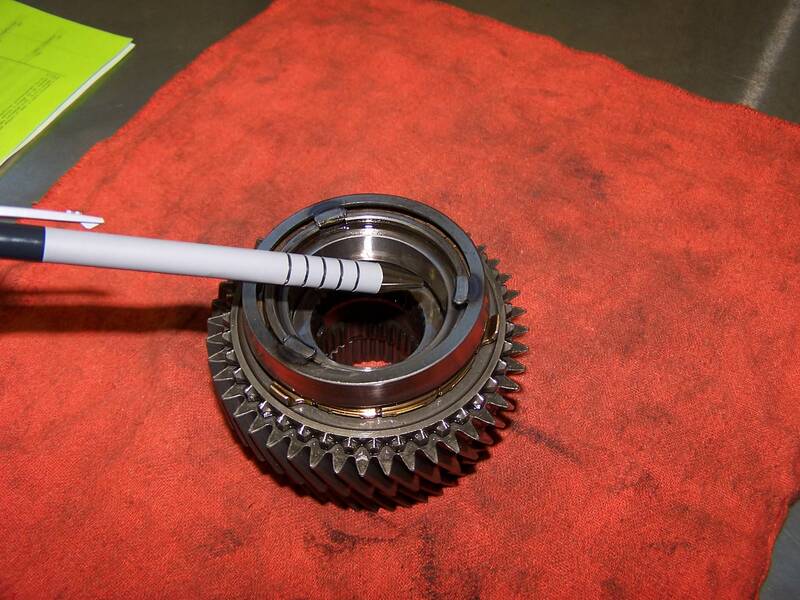 Quick Reply: Second Gear going bad?